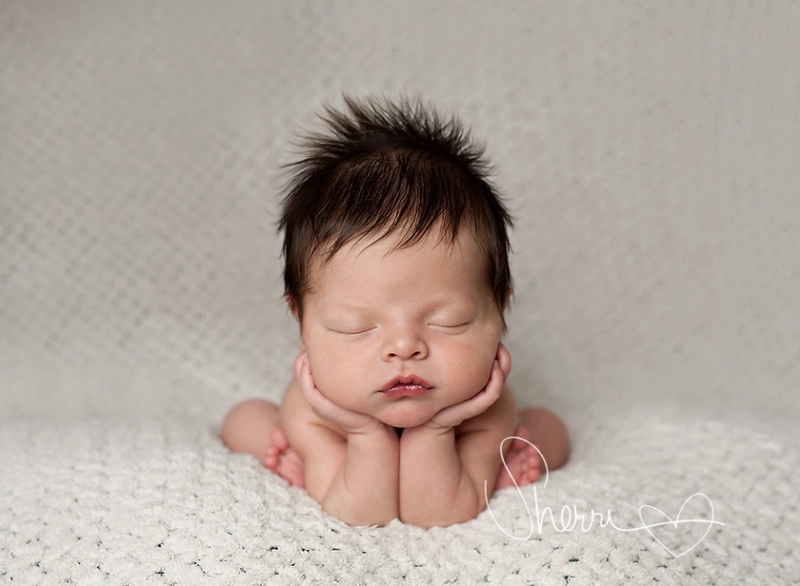 Newborn photography has increased in popularity over the last 5 years contributing to a mass overpopulation of inexperienced photographers entering the industry. These new photographers are not experienced enough in posing safety, newborn handling or soothing, and this has lead to newborn injury during sessions. It is not uncommon to see these new photographers placing newborn babies in glass jars, on top of heating pads, suspending them from trees or even allowing baby to fall out of props. I pride myself in knowing that your baby’s safety is my primary concern. I have the experience required to obtain finalized newborn images that look unique or dangerous yet are completely safe. The final look is achieved with a little photoshop magic. For example, one of my most requested poses is the ‘Froggy Pose’ where baby rests his chin in his hands with his feet near his elbows. 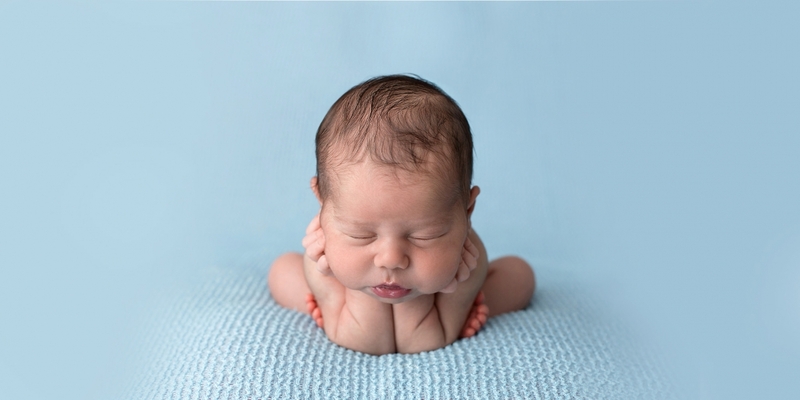 Newborns are top-heavy and are not strong enough to support the weight of their own head. It is dangerous to force a baby to pose like this without assistance, yet many new photographers will do so. As you can see, the proper way to achieve this pose is by ensuring that baby is always supported.